This week we'll learn more about the future development strategy with Jacqui Deans who is helping capture the public feedback about how we should grow in the next 30 years. We'll also find out about council news, notices and events, and other consultations, all on the Tasman Lowdown. On the Lowdown this week we'll be discussing the future development strategy - where do we grow from here? Find out about possible scenarios and how you can have your say. Plus we'll be talking about the Richmond catchment management plan; how we deal with run-off and rain water. 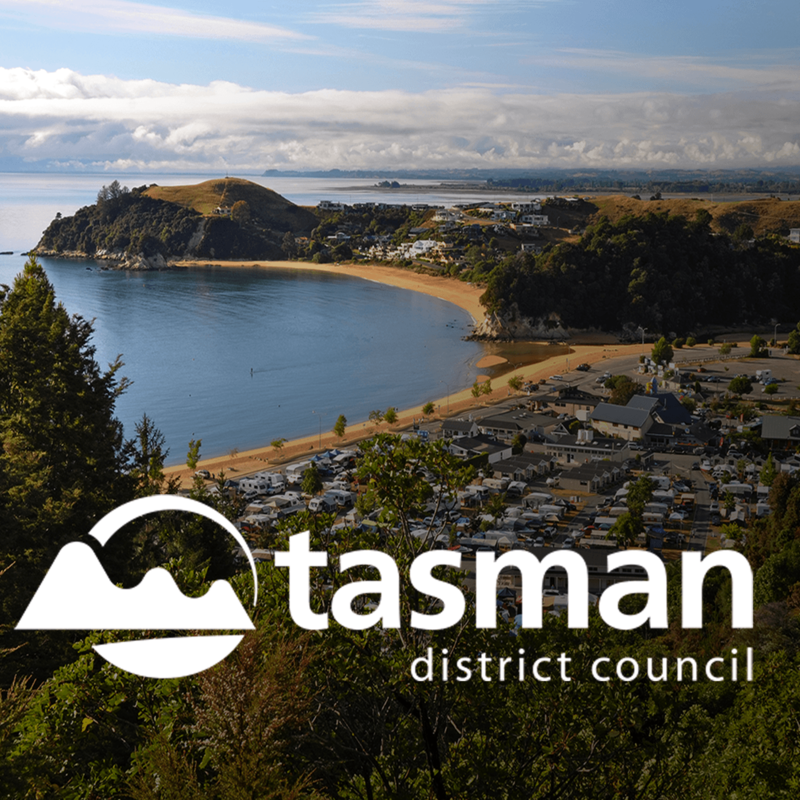 It's all future focused and it's all on the Tasman District Council Lowdown. This week we'll learn about the draft Richmond catchment management plan - how we'll deal with runoff and rainwater; we'll hear about the second round of the future development strategy; plus we catch up on council news, notices, events and consultations. This week we look at the water saving efforts you've been making and how they are paying off; we'll hear about the second round of the future development strategy, and we catch up on council news, notices, events and consultations. With the recent rain we will look at what that means for water restrictions and water saving tips in the Tasman district. The Mayoral Disaster Relief Fund is also taking applications and we'll catch up on council news, notices, consultations and a trip to the library. On the Lowdown this week we'll hear about the Mayoral disaster relief fund, taking applications how you can apply, the transition to recovery now that the state of emergency has been lifted and a trip to the library. Plus we catch up on news, notices, and consultations on the Tasman District Lowdown. On the Lowdown this week we talk about the reopening of the ferry from Mapua to Moturoa Island, the Mayoral Relief Fund, as well as open water restrictions. Plus we catch up on news, notices, and consultations on the Tasman District Lowdown. On the Lowdown this week we'll talk about the district's double whammy: the pigeon valley fire and the drought, and we'll look at how we'll overcome these challenges together. Plus news, notices, and consultations on the Tasman District Lowdown. This week the focus is Civil Defence Notices, Water Restrictions and Total Fire Ban. We'll also catch up on news, notices and consultations. This week we'll give you the latest info on water restrictions and cast an eye to the future. We look at how the region will grow and where it will happen, and how you can help decide that. Plus we catch up on council news, notices, events and consultations. It’s been very dry in the Tasman District and this week we’ll take a look at Stage 2 water restrictions and what they mean for people on the Waimea plains. Plus we learn about the Nelson Tasman Future Development Strategy, and how you can be involved. This week we'll have a chat to Amy at the library about cool events happening, we'll have details of summer services and events, plus we catch up on council news, notices and consultations. This week we'll chat to Pania at the library about summer reading; learn about how solar power is helping Brightwater; plus we catch up on council news, notices and consultations. beware the brown mamorated stink bug - what to look out for and what to do if you find one. plus how solar power is helping Brightwater keep it's water clean. This week we'll have a chat to Amy at the library, learn about water treatment at Kaiteriteri over the summer, and look at a new app for booking building inspections. Pluse we catch up on council news, notices and consultation. This week we'll learn about where in Tasman, New Zealand's best street is; a boost to the Council's credit rating; plus an upgrade to our website. There's also a whole heap of consultations that we need your help with. This week we'll learn about information in the annual report and 'Clued Up Kids'. Also, how you can help us combat the scourge of illegal dumping, plus details of the feasibility study for the new Motueka Library, as well as consultation.